Certain is a member of the ABM Leadership Alliance, which is comprised of a group of experts who provide B2B marketers with guidance and oversight on how to leverage technology to create a high performing ABM strategy. To execute ABM well, you need sales and marketing to align on the accounts you want to bring to the business and then join forces to turn those prospects into customers. While ABM touches several teams, departments and activities within organizations, events in particular play a significant role. In fact, if you’re leaving events out of your ABM strategy, you’re missing a fundamental opportunity to move the needle for the business. Events provide sales and marketing teams with key insights that can help establish and deepen relationships with prospects and customers. Here are three ways to ensure your events are optimized for your ABM program. A great way to get in front of prospects and customers during an event is by hosting a party or activity that requires registration. This lets you capture top-of-funnel details that marketing and sales can use to determine if they’re on your target account list. Based on the discovery of who will attend, sales and marketing can determine strategic ways to get in front of them. Marketing can automate email invites and reach out via social media to offer a product demo or 1:1 technical deep dive. Then, sales can send an actual invite and provide a personal touch for the 1:1. How many times have you attended an event where a company follows up with you and treats you like one of 2,000 attendees who all did the same thing? Chances are that this has happened more than once, and it’s a missed opportunity for the company. There’s a big difference between a prospect that goes to your website and downloads a white paper or E-book and a prospect that registers for a two-day event, books a hotel and flight and signs up for multiple sessions. The latter prospect is clearly very interested. They’re showing high-intent signals and giving you face time, which is more valuable than any other time that they’re spending. If you can capture that information and understand what they’re doing during the event and then tie that information to your ABM strategy, you can be more strategic in your approach. By having a better understanding of where they are in the buying cycle and what they might want next, you can provide a more tailored experience to prospects and customers, which is going to make any communication with them more powerful. This enables your team to move the needle forward and accelerate the opportunity. Partners can play a key role in how events tie back to your ABM program because they can help you get access to your target accounts. For example, if your company is hosting a party or event, or you’re attending one that your partners will also attend, there may be an opportunity to get in front of new prospects. With a well-crafted co-marketing story and an overlapping target account list, trusted partners can share resources and take advantage of a wider network of relationships. Additionally, your partner may have customers on your target account list and vice versa, and each may broker valuable introductions. 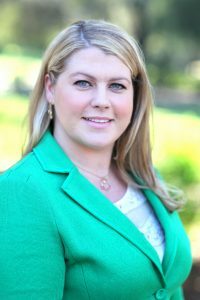 Kristen Alexander serves as the Chief Marketing Officer at Certain, an event automation and management software. Kristen’s experience spans enterprise and consumer business, inside both Fortune 100 companies and high-growth startups. Prior to Certain, Kristen led marketing at Aviso, a leader in predictive analytics for sales, and Agari, a cybersecurity leader recently named to the Forbes 2016 Cloud 100.